OnePlus started their journey as a small Chinese startup. They share their internal roots with OPPO, but a different software design along with separate business strategy helped them to establish themself as a worthy contender of premium Android OEMs like Samsung. I still have my OnePlus One – truly a legend! I played with their subsequent phones as well, mostly due to research. One thing I really like to follow is the evolution of their in-house OxygenOS. It’s the sole reason to associate myself with Oxygen Updater. No kidding! I do have a flight radar installed. It’s February, and smartphone enthusiasts are eagerly waiting for this year’s Mobile World Congress (MWC). 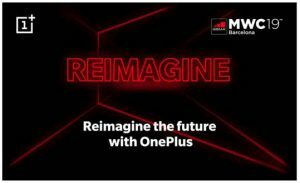 OnePlus did not choose MWC to release any of their gadgets in past. Well, 2019 will be different as OnePlus sent out media invitations for a closed-door event. Reported by Digit, the incident once again fuels the rumor mill about the upcoming 5G phone from OnePlus. But isn’t it too early? Do the maths: OnePlus launched the McLaren edition of 6T in last December, so announcing the next flagship (or a separate 5G phone) doesn’t sound feasible. Even Pete Lau, the CEO of OnePlus, projected the release of the 5G phone toward the end of the second quarter. There were some speculations on the smart TV as well. Yes, OnePlus is preparing for a big boom in the TV industry, but again: MWC is not the right venue for it. OnePlus later contacted Digit and confirmed that it will be a generic networking event. The invitation says “Join OnePlus at Ultramarinos where drinks and a taste of the future will be on us.” as per All About OnePlus. Probably a sneak peek at their next phones? Let’s wait. 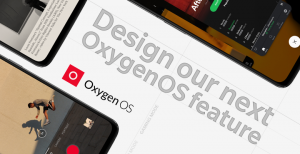 On the other hand, the company is looking for new features to incorporate in OxygenOS and wants the suggestion from you. They are inviting users to take the role of Product Manager and pitch their ideas, complying the format of PRD (product requirements document). Senior OOS devs will review the ideas and pick the best one. The winner will get a chance to visit a nearby OnePlus launch event. Moving on, we have something for the Physics nerds. 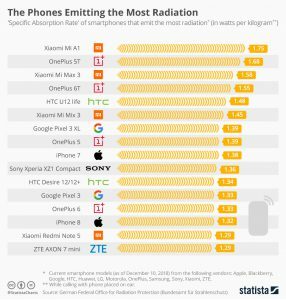 Statista published a report about smartphone radiation levels. The SAR (specific absorption rate) values of several phones were analysed, courtesy to the German Federal Office for Radiation Protection (Bundesamt für Strahlenschutz). OnePlus phones from 2016 and 2017 are on top 15 in that list, with OnePlus 5T occupying the 2nd place. No need to grab your tin-foil hat – the values are still within safe threshold. Regarding bug-fixing in OOS, Tile users should rejoice as the long-reported activation and discovery bug was acknowledged by OnePlus. The upcoming stable update should contain the fix. Team PiunikaWeb also investigated about an unpatched vulnerability in current OnePlus phones that makes it possible to grab low level flash tools directly from the official servers. Wait wait, do you know that you can now set systemwide custom alarm tone in OxygenOS? Follow the tutorial and the background story by clicking here.